Waterfront living at its finest! 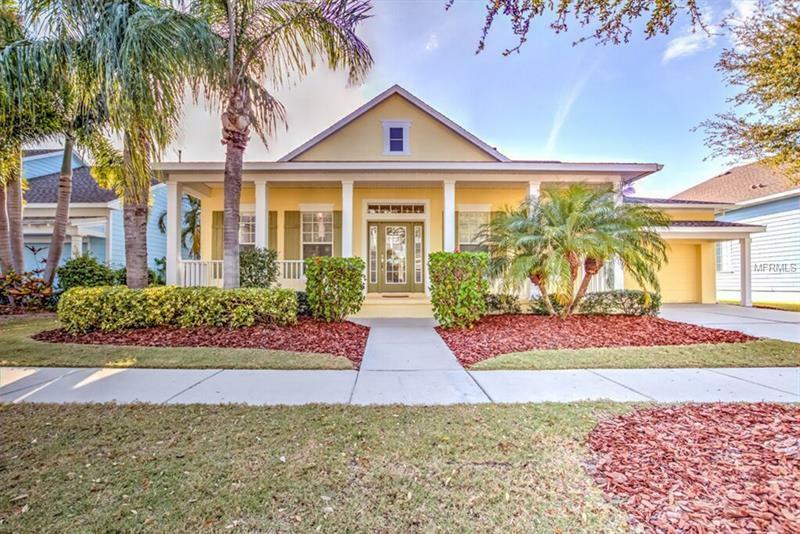 Looking for a amazing waterfront home w/ a gorgeous view private dock with direct access to Tampa Bay by boat & a one story open floor plan...this is it! This coastal home offers 3 bedrooms 3 full baths a separate dining room office & a retreat/ bonus room. One of the guest bedrooms offers a full en-suite.The kitchen is top of the line including quartz counter tops a abundance of solid cherry wood 42" cabinets and a gas cook top . The open Living room has a gas fireplace surrounded by custom built shelves and surround sound. Flooring includes hardwood ceramic tile & carpet. All the bathrooms have solid surface counter tops & cherry wood cabinets. Brand new HVAC in 2014 and a freshly painted exterior. Everything has been thought of & included in this gorgeous waterfront coastal home! Located in MiraBay a coastal waterfront neighborhood that offers a 10000 sq ft state of the art clubhouse with a gym spa services cafe Olympic size heated pool 136 foot water-slide sand volleyball basketball tennis pickleball....as a resident you have free use of kayaks sunfish canoes and paddle boards located at the onsite Bait and Tackle shop!!! MOVE IN READY Start living the dream!